Have you ever thought about a career as a commercial diver? Do you love water and being outdoors? Do you want a career with plenty of high paying jobs available? 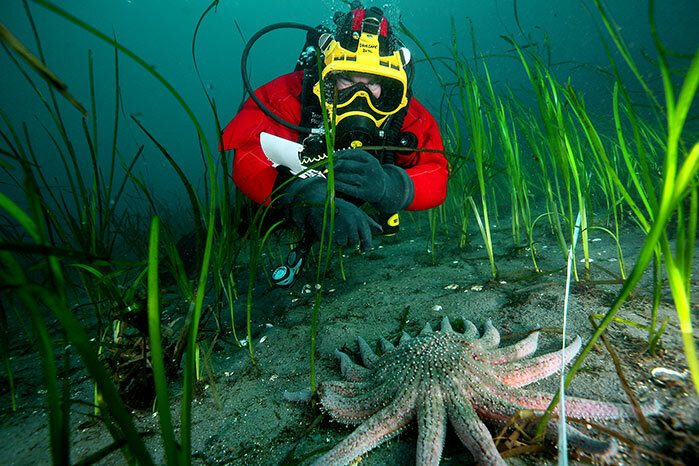 Commercial divers are needed in many industries, including aquaculture, oil & gas, construction, salvage and even public safety with the Coast Guard or RCMP. DiveSafe International offers all levels ofcommercial diving certification and SCUBA diving certification and can help you launch or advance your career as a commercial diver. Are you First Nations or Metis? You may qualify for educational or employment grants that will allow you to train to be a commercial diver for free. Ask us about these programs! Our Underwater Marine Education Centre is located in Campbell River, BC – the gateway to the world-class diving of Discovery Passage. All dive training is done in the ocean at our Marina and at various nearby West Coast locations. To get started as a commercial diver, explore our commercial diving courses or call 1-888-325-3483.